UPDATE MARCH 26 11:45 A.M.: Authorities have identified 18-year-old Christina Marie Gallina of Henderson as the woman who died in an apparent murder-suicide on March 24. 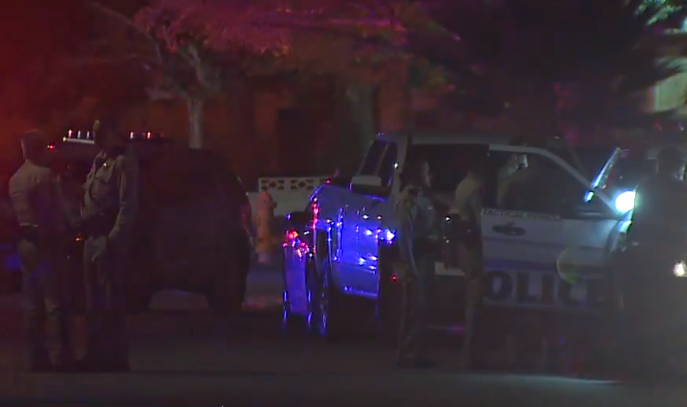 LAS VEGAS (KTNV) - An 18-year-old woman was found dead and a man, believed to be her boyfriend, was also killed in an apparent murder-suicide, according to authorities. Police believe 25-year-old Treasure Munhenga shot his girlfriend and then shot himself in a vehicle late Sunday night. Police say several neighbors were having a barbecue in their back yard near Flamingo Road and Rainbow Boulevard. Around 10:45 p.m. neighbors heard what they thought were fireworks coming from nearby. As guests were getting ready to leave, they noticed a vehicle with the engine running parked in the middle of the street with two people inside. Someone went to check on the occupants of the vehicle when they realized the two had been shot and police were called. Officers arrived at the scene around 11:18 p.m.
Munhenga was found alive at this point with a gunshot wound in the head. However, he was in critical condition and died at the hospital. The 18-year-old was also located in the vehicle and was pronounced deceased at the scene. Police were investigating the situation as a murder-suicide situation. Police also said the two were dating. This incident is similar to a situation last week in which reports of a car crash led police to another murder-suicide investigation involving a young woman and man. Lieutenant Ray Spencer with Las Vegas Metro Police Department encourages anyone going through a domestic situation to find help. "There is SafeNest and there are counseling organizations that people can reach out to for help so that things like this can be prevented," Lt. Spencer said.